If I were a fairy, I would be one of my kinds that is I would be a human holding a magic wand along with white warm wings over my shoulders. I would be a messenger of God to everyone on earth. I would work hard to strive for creating a world of dreams. A world that would shine brightly and look divine; it would be so amazing to embrace the grace it would impart to our Earth’s shrine. The world that is designed with all the beautiful lands, seas, creatures and natural radiance, would be more rejuvenated when I would wave my wand to take away all the sufferings and heal everyone’s pain. I would love to engross myself into this deed of humanity as it would be my prime aim to save the world from all types of discomforts and strains. I would work to change the world by making people realize the grief, they are causing to our mother Earth is ginormous. If I were a Fairy.. I would make them understand that whatever chores they perform on Earth are not right, rather they are carrying out everything wrong paving a way to human’s own plight. I would follow God’s vision of developing a gorgeous place to live in. I would work religiously to justify my name. Fairy is the one who is fair to all, treating everyone without favouritism or discrimination. She is the reflection of God, kind-hearted and a perfect creation that is a message-bearer for humanity. I would walk on this path justifying my name in true sense. I shall be an indiscriminate judge of everyone living on this earth. I shall engage myself into enlightening others about their wrong deeds and making them tread the path of humanity. I shall expend my time and energy in making people aware about the huge metamorphosis they have eventually originated. I will be making them understand how they have turned out to be creatures that are quite selfish, mean and eccentric. Besides showing the right path, I shall be toiling hard to foster in them the element of truth and honesty. I shall evince the bright light of truthfulness that will prick their conscience so that they discover the real meaning of their life. I shall be a friend who everyone wishes to have with all the desired traits embedded. I’ll be a friend who’ll be reliable and you could say anything that you want to share without fear. I shall love everyone and everything as I would know that there is significant value of all the prevalent living objects. I would not only be a friend in sorrow, but I would be the one you would cherish forever. I would enjoy the sunrise and sunsets and make you learn to seize each and every moment of life. I shall help you in apprehending your real accomplishments and preach the ways to reach those aims. Neither will I neither betray you nor let you betray anyone. I wish to fabricate a world of your dreams for you and I know it’s difficult to do it alone; I’ll make you my accomplice in this endeavour of building this world the best world ever. 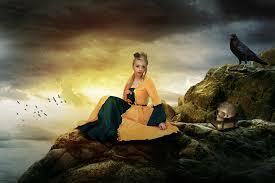 Now, as I would be a fairy, I would be a conglomeration of knowledge and news house of past and present situations. I would be an informative soul having high IQ and a logical view in each and every situation. I would be the one who would educate people about how to stay on the path of right and abstain from the wrong. I know it’s quite difficult for a soul like me to preach that all to everybody. But I’ll be doing everything with a pinch of magic so that I can transmit the message of God to everyone with innovation. I’ll act with a holistic approach and spread the crucial words to incorporate peace and love in the entire world. I’ll be the transient change and work to eradicate the nasty thoughts of humans replacing it with the novice beliefs to form the ravishing world as we call it. I shall be responsible to formulate a world that will have responsible and creative human beings. I’ll be a guide who would instill the necessary virtues of love, care, sympathy and kindness so that all human beings think that it is their moral duty to ascertain that Earth is their mother land and like children must take care of their home and parents, we all are children of God and it is our obligation to take proper care of our larger home that is Earth. I will work hard to make them understand it and help them in controlling their actions. It is the need of the hour to fulfill the anticipations of Earth which are forgotten by man in order to restore the lost glory of our exquisite home. It might be very difficult at first, perhaps because humans are not easily convinced by the actions controlled by God, all ask for rational explanations to understand everything. But now, it is high time and everyone needs to look into their hearts and be their own judge to come to a conclusion of who is responsible for degrading the only planet on which life exists. I know it’s really hard to bring the change that I wish for but I don’t mind to beaver away for the sake of mankind and humanity. After all, I would be a philanthropic fairy who would stay youthful forever and would always channelize her actions in the betterment of the society we all live in. It’s my dire wish; I yearn to uplift the people who have been crushed under the discriminate system, to seek goodness and compassion in everyone for everyone. I hope this desire comes true one day which would be the happiest day, not only for me but also for God, who would smile above and be proud of its most significant creation.